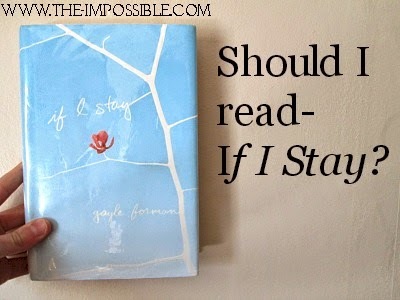 After sharing my Lately post some bloggers were asking "What's your opinion on If I Stay?" Short rant here: It's took FOREVER to get this book for my local library. There was over ten holds for sure. Anyway, here's my opinion on If I Stay. "Just listen, Adam says with a voice that sounds like shrapnel. If I Stay is a heartachingly beautiful book about the power of love, the true meaning of family, and the choices we all make." It's was beautiful. I was trying to hold in the tears but I couldn't. It's was heartbreaking. It's had a interesting way of telling the story, a hard way to my opinion. The writing, the way the story was going, the characters. Everything was a thumbs-up's. This book will make you cry and think about the meaning of love and family. 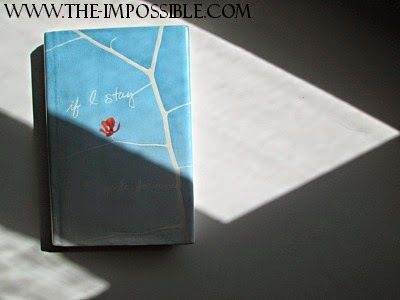 If you hate how the family or parents are push out of a book, this book doesn't to that. Now, I need to see the movie. If you read this masterpiece, what do you think? 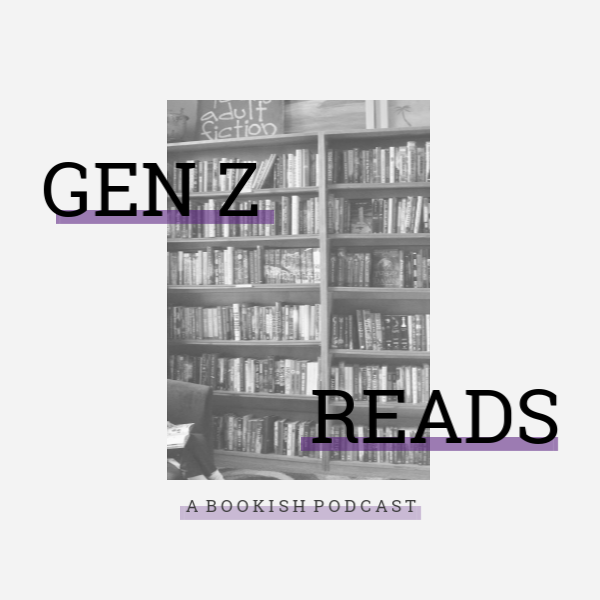 Should I do more book reviews? Watched the movie? What's your opinion? I love this book! It was sweet, although I didn't cry, I still loved it. I want to see the movie too and read where she went. I cried. Super hard. :,) Same here! Everyone who's read it loved it. There's at least 30 hold on it at my library. I want to read it so bad! I'm not going to even attempt to deny it - I cried my eyes out throughout the entire book! Amazing review, by the way! Who knows, maybe more reviews in the future could be a cure to your writer's block?? Oh my gosh! Page after page I felt tears coming. Oh, awesome! I know! I think I am going to read the sequel. Thanks for telling me! I love this book! I bought a copy of it last month and it was heartbreaking. I couldn't stop reading it, and I cried a lot. I'm finding a copy of the sequel because I fell in love.